Home » Gardening » How to Grow Roses from Cuttings. Hardwood Cuttings Verses Softwood Cuttings. First thing, let’s me and you have a chat about hardwood cuttings and softwood cuttings. I really want you to grasp this concept, it will make your plant propagation life so much easier. Let’s set the clock back to early spring. Here in Ohio the growing season usually kicks off around the second or third week of April. That’s when all deciduous plants (a deciduous plant is the opposite of an evergreen) start to make leaves in the spring. First we see new leaves, then immediately the plants go into a very active period of growing and most plants put on the majority of their new growth in the first six to eight weeks of the growing season. Often putting on from six to ten inches of new growth. That new growth is very soft and pliable. It bends very easy and the new stems are so soft that they can be easily crushed between your fingers if you tried to do so. As the growing season progresses that growth starts to harden off and progressively gets harder as the growing season goes on. Come fall the plants quit growing as winter approaches giving all the branches a chance to harden off. The new growth has to harden off so it’s strong enough to go through the harsh winter conditions. 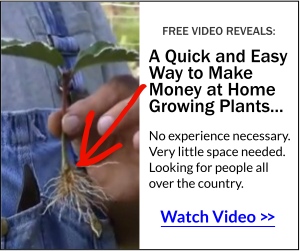 Get Paid for Growing Small Plants at Home. Mine Earn Thousands. By fall the stems are quite hard and rigid, they can’t be easily bent without breaking them, and it’s unlikely that you could crush them between your fingers. That’s the difference between a hardwood cutting and a softwood cutting. Any cutting taken early in the growing season is considered a softwood cutting. Cuttings taken later in the growing season and even into the winter are considered hardwood cuttings. Softwood cuttings root much faster than hardwood cuttings because they are soft and supple. However, softwood cuttings are frail and can fail easily where as hardwood cuttings are tough as nails but it takes them much longer to root. If you can keep your softwood cuttings happy, they will root for you rather quickly. When is the Best Time to Take Cuttings from Roses? Lock this in your head because this is true with just about all plants. The time to start taking softwood cuttings in the spring is six weeks from the time they start making leaves. Here in northern, Ohio, zone 6, we usually see the first true leaves around the third week of April. Count six weeks from that date. So if you are in zones 4, 5, or 6 a good target date for you would be mid June. If you are in zones 7 or 8 you might get started as early as mid May. If you are in a really warm zone like 9 or 10 you can start even earlier than that. Mark your calendar right now for next year. You can do cuttings the other times of the year and I’ll get into that. But those early and mid summer cuttings root really, really easily. And between now and then I am going to share with you the system that I use that makes it even easier than that. But I can’t get into that just yet. You have to be patient! Stay tuned to channel Mike. Can I do Roses from Cuttings in the Fall? Yes you can, but the wood is harder and they are going to be much slower to root. But it certainly won’t cost you much to try. And if you warm their little bottoms they’ll like that and root for you much easier. You can buy plant propagation, or seed starting heating mats that are designed for the purpose of starting seeds or rooting cuttings. All you do is plug them in, set the thermostat, then place your flat on the heating mat. Make sure the heating mat that you use is designed for plant propagation. Danger of injury, death or fire can occur if you use any other kind of a heating device. Don’t take chances! Do I use heating mats at “Mike’s Plant Farm”? No. Not at this time. We usually work out the timing so we never have to do that. We do tens of thousands of cuttings during the summer months, more in the early fall, then we do some in the winter as hardwood cuttings. But at this time we are not doing anything that needs that bottom heat. If you are on my newsletter list I will keep you informed as to what we are rooting when and why we are doing them at that time of the year. How to Make Rose Cuttings. Making the actual cuttings is really, really easy. Just pick a branch, from any part of the rose, and take a cutting from the end of the branch. Make the cutting about 5″ long. If the branch has a flower bud at the tip just prune off the flower bud. Some people wound the cutting on one side side which is nothing more than taking a knife and scrapping the bark or outer tissue on just one side of the cutting at the very bottom of the cutting. The scrape only needs to be about 1/2″ long and making a wound really is an option. Just clipping the cutting from the plant creates enough of a wound to make the cutting feel as though it needs to make roots to stay alive. Do Roses and other Plants Actually Think? No they don’t. But they do respond to certain conditions just like human beings and other mammals do. When we humans break a bone the first thing our body does is start building a callous around the broken bone to keep it stable while the bone heals itself. Doctors don’t repair broken bones, our bodies actually do the repair work. Our bodies develop that callous cast inside our limbs just in case there’s no doctor around to help us out. Plants are very similar. When you remove a cutting from the parent plant you take measures to keep the cutting as healthy and happy as you can since it no longer has a root system to support it. Since the plants is healthy but has no roots it goes to work to correct that problem. The first thing it does is builds some callous over the wounded part of the cutting. Then it makes new roots to support itself. So our job as gardeners is to keep the cutting healthy and happy while it does all of the other work of making roots for us. The cutting does the heavy lifting. At that point we are just idle bystanders. Once you make your cutting to length, wound it on one side if you like, wounding is optional, then dip the cutting in a rooting compound and stick the cutting or cuttings into your rooting medium. Always make a lot more cuttings than you need. More cuttings increases your chances of getting a few successful rooted cuttings dramatically. After the cutting has been dipped just stick it in the rooting medium, water the medium well to make certain there are no air pockets around the base of the cutting. After that I suggest covering the cuttings with plastic, or in this case I used a plastic water bottle because I didn’t have a mason’s jar. Mason’s jars work great! Put your cuttings in the shade so the direct sun can’t get to them. Using a water bottle as a little greenhouse to root rose cuttings. Keep Your Rose Cuttings Watered but not Soaking Wet. This part is critical. Remember, your cutting has no roots! So it needs you to take care of it until it gets roots. Your job is really easy. Just make sure the rooting medium is moist, but not soaking wet all the time. It should be loose enough that it drains well so when you do water you don’t have to be concerned about over watering. Water all you want when you water, just don’t water too often. And make sure the rooting medium drains well. That’s important and why usually use sand. A rooting medium that does not drain well will cause the bottom of the cutting to rot and the cutting will fail. Rooting Compounds. Which One should I Use? It really doesn’t matter. I like liquid rooting compounds because I can buy one bottle and use it all season because it’s a concentrate. During the summer months I just mix a weaker solution, in the fall a little stronger and in the winter I mix at the maximum rate for hardwood cuttings. The directions are on the bottle and are very easy to follow. Some places you’ll read that you need this many parts per million of xyz. Blah, blah, blah. All of that is true, but you and I, we don’t need to know that. Just buy a good rooting solution and follow the directions on the package. Keep it simple. Don’t over complicate a simple thing. It’s not as scientific as some make it out to be. Powder rooting solutions can’t be changed or diluted so you have to buy a powder for softwood cuttings and a powder for hardwood cuttings. No matter what you read elsewhere, big nurseries have tested liquid rooting compounds against powder rooting compounds and found that both performed equally as well. Me? I usually buy Dip-n-Grow or Wood’s Rooting Compound and the deciding factor is which one is the easiest to get my hands on. I have a local supplier that I buy from and whatever they have on the shelf, that’s what I’m using this year. Next year if they switch brands, then chances are I’m switching brands too. Why? Because . . . it doesn’t matter. Rooting Compounds are not magic formulas. Rooting Compounds are Not some Kind of Magic Potion or Powder. Here’s the deal with rooting compounds. This is important so write it on the back of your hand. They help. They increase your chances of success at rooting cuttings, but they do not determine or control your success. What did we learn earlier? Timing and technique. Those are really the two things that matter. Erase that other stuff and write that on the back of your hand. “Timing and Technique Matter”. How Do You Keep a Rose Cutting Healthy and Happy? You keep it warm but not hot, and in a fairly humid environment but not wet. The rooting medium needs to be damp, not soaking wet. Keep the sun off the cutting while this rooting process is taking place. In most cases cuttings that are trying to make new roots are happiest in shade, maybe just a smidgen of sunshine to keep them fed via photosynthesis, but not much sunshine. If you are doing cuttings in the fall the wood is harder and therefore sun isn’t as much of a culprit as it is during the summer months when the cutting wood is soft, pliable, and much more vulnerable. Sticking rose cuttings in sand. Using Sand as a Rooting Medium for Rose Cuttings. Saaaaaannnnd? Are you crazy? No, I’m not. I root tens of thousands of cuttings in coarse sand every year. Why? Because it stays just moist enough, but doesn’t stay so wet that it will actually rot the cuttings. But for you at home, you can use sand, but if it’s too much trouble to find the sand just use a potting mix. The potting mix should be light and fluffly, not heavy and sticky. Adding Perlite to the mix is a good idea. How much? I don’t know, just mix some in until it feels good. Tain’t rocket science! Below are five or six rose cuttings in potting mix. As you can see, these containers that I am showing are not very large. All you really need is just a few square inches. When I root thousands of cuttings in my outdoor propagation beds each cutting gets exactly one square inch of space. That’s it. Sticking rose cuttings in a potting mix type of growing medium. Remember. Softwood Cuttings Root the Fastest and You Do them During the Early Summer. Not spring. Nothing roots well in the spring because the plants are growing so fast and the new growth is very frail. We do 9o to 95 percent of our cuttings as softwood cuttings in June, July and some in August. There are few things that we do in winter or later winter as hardwood cuttings. Dappled Willow, Golden Curls Willow, Purple Sandcherry, Pink Flowering Almond and Grapes. That’s about it. Those we do as hardwood cuttings. Maybe Rose of Sharon but they do well as softwood cuttings. I’m reading all of these old posts and am inspired. I believe hope is from God and the whole garden was His idea in the first place!.. Anyway I have beautiful shoots on my roses and am itching to root them now – but 9/24? After all the reading maybe I should- and if they are viable stick them outside to winter over with mason jar?? It won’t cost you anything to try them now, you never know for sure what is going to work. Do them again in June when the wood is softer. Thanks for taking the time to write about this! I live in NZ and have started to have a go at growing my own roses from the ones in my garden. My first lot were a disaster due to someone in my hose thinking they were being helpful watering them. This next lot that i have tried 2 of them have started to sprout new growth. Am i meant to remove the new growth? How can i tell if they have started forming roots? I also have a Lithospermum Grace Ward that i wold like to try and propagate – can i use this same concept? Thanks for the article! I live in El Paso, TX, and there is PLENTY of sand to use for rooting cuttings, but I feel like the near 0% humidity here would dry out the sand in minutes, leaving the sand bone dry and not hospitable for cuttings. I have read dozens of times to use sand, but I haven’t yet because I worry it will not stay moist here. I typically use a seed starting potting mix in a clear plastic cup with a hole poked in the bottom, and cover it with a clear plastic bag meant for storing homemade bread (rooting hormone on the cutting). This method worked marvelously well when I lived in Houston (12 hours east of here) where there was over 50% humidity every day. Trying this method here has given me a dramatic increase in my failure rate- most of my cuttings rot before rooting. Hibiscus rosa-sinensis, my favorite plant to root, simply turns to mush. Hi, Mike! I’m curious about the cuttings I have, I wonder if you could help me. They’ve been in soil in a humidity box for about a month. They’re sprouting leaves, but no roots. Should I keep waiting? Is this a common occurrence? I think I tool hardwood cuttings. This is my first time trying to propagate roses, and I’m concerned I’m making mistakes!! Just leave them be. They’l either root or fail and not much you can do to change either. Hi…I read somewhere that roses can be propagated by inserting the clipped branch into a potato and then into the ground. Does this really work? I hear that it does work sometimes, but the better option is to just take the cutting, dip it in a rooting compound, stick it in the ground in a shady spot and cover it with a mason’s jar. I live in Southern California. I bought some very nice ground cover roses online and planted them. in October. They are very healthy and I already got some flowers! I need some more ground cover roses but I already spent too much money on them. I was wondering if I can do softwood or hardwood cuttings on the ground cover roses. Can you please advise? Thank you. Thanks, Mike, for the gardening secrets book I’ll be looking for in my email later. I enjoyed reading about propagating roses. I have quite a few roses that were planted years ago, and I didn’t save any of the tags that came with them, so I have no idea whether or not there are any patents. To be on the safe side, I’ll have to buy some new rose plants in Feb. or March (I’m in S. Carolina), and make sure there’s no patent on them, so I can get cuttings. Whatever happened to the fragrant roses of yesteryear? Seems all the roses are bred for beauty, not fragrance. Anyway, thanks again for sharing your knowledge on so many things thru the years. – Kathy W.
I got a cutting from a climbing rose. It’s growing good but no buds. Can I expect rose buds next year? Would too much moisture cAuse it to not bloom? It should bloom. Be careful to not over fertilize it, too much fertilizer can cause lots of growth but no flowers. Hi Mike, Last season late fall, I trimmed my double knock out roses. I decided to stick about 10 hardwood cuttings in the flower bed. I did nothing else to them over the winter. This spring I had 3 more rose bushes. They are about 4 ft tall and looking good. Not bad for doing nothing but just sticking them in the ground. Congratulations on your rooting success, but Knockouts are patented and it is against the law to propagate them. Even for personal use. I am new to this site and just read my first article today. I am in zone 8A in Texas and I am wondering about the best way to Winter root a rose bush cutting? My great aunt died and has a lovely rose bush in her yard and I would really love to be able to have one in mine in remembrance of her. My cousins are selling off her property and I will no longer have access to it soon. I will try your spring routing on soft wood on some of my cuttings this coming spring of next year. Thank you very much for any and all advice. Will this work on jasmine as well? I read your article about rose clipping propagation. We recently moved took clippings from our rose bush. One clipping rooted successfully out of the first batch, and in the second batch of 4 clippings, none have died (first set overwatered). These were hard clippings, but we live in Georgia. My question is, the temperatures are now dropping in to the 40s at night and I wondered if I should bring the clippings inside at night. Also, when should I remove the jars over the clippings? The rose cuttings should be fine outside. Here in Ohio all of our hardwood cuttings spend all winter out in the elements. Don’t remove the jars until the roses are rooted. Hi Mike, Great article!! I live in New York and I’m trying to grow roses from cuttings. I used 16.9 oz water bottles cut them in half made a little draining hole at the bottom and filled them with soil. I wounded my cuttings and dipped them in rooting hormone. I placed all my containers in a storage bin and placed saran wrap on top to create a greenhouse effect. Its been a week and I’ve noticed some of my leafs are turning brown. Did I do something wrong? Do you have any suggestions? Hi Mike Thank you for your response I do have one more question. After they have the roses have rooted do you still keep them covered in the plastic or move them out. Once they are rooted just plant them in your garden, uncovered. They should be fine. Where can I buy sand? I Don’t live anywhere near a beach. I want to try to grow my rose cuttings in sand as you suggested. Hi. When you cover the rose cutting with a plastic bottle, do you poke any holes for ventilation in the plastic bottle? No, the cutting should get enough oxygen from the bottom. I’ve made several attempts to root roses in the last year. I’ve only tried potting soil and it none of them lived. The soil just didn’t drain well enough for me. Then, per your suggestion, I tried putting some in sand, not expecting much. After only two weeks, I went out check them and several of the cuttings have roots! Not just one type either. About 4 out of the seven made it through! It totally made my day, and I have you to thank for that! I did want to ask, though – what’s the next step? When is a good time to put them in pots? Should I keep them in sand when I pot, or just take it out and plop it into a container with potting mix right now? Should I add fertilizer? Once they are well rooted you can pot them and put them in the shade. Fertilize only with Osmocote slow release fertilizer. Any other fertilizer is likely to kill them. Only one tablespoon per pot. I have a very old rose bush. It is very healthy and vibrant. I would guess it is 65 + years old. We have been told that due to age we cant clone it. This plant has been in our family for 3 generations and I want to take some cuttings and pass them along to several people to keep the plant going for generations to come. I want to test this season and if it works take more next year to give to family. Is there any reason why cloning would fail for a plant this age? I live in Indiana and the plant has been in norther Ohio its entire life. My grandfather gave it my grandmother when they were dating and its been one of our best memories. Hi Mike I love your article very helpful. If I plant cuttings from a bouquet in June / July will I get flowers on the plant for Valentine’s day. If not when should I plant the cuttings so as to get a bountiful harvest for Valentine’s day? One more thing, can I use the regular sand from the beach? Or do I have to mix it with dirt or perlite? How often will the plant bloom for the year seeing that I live in the Caribbean? I don’t know about the blooming but beach sand should be fine. Search this site for coarse sand for more details about that. Thank you for this article!! My childhood home is being sold and I am so happy to know how I can take a cutting (or several) of my mother’s beloved cabbage roses (right now! since I’m in zone 8) and grow them. It’s nice to read something that doesn’t make it sound like an impossible experiment. Do this method work for woody shrubs too? I was hoping to try with a mock orange as well. I have followed your instructions for cuttings of Camellias. They have been enclosed in the sand for about a month now. I mist them twice a day. They are green and even have new growth. But there are no roots yet. How long does it take? Somethings can take a long time. As long as the cuttings haven’t failed yet, I still have hope. I bought a rose for my husband. Thought of regrowing it. Rooted or not i do not know but put honey as i did not have rooting powder and planted in soil. Covered it with plastic bottle. Its growing well the shoots have appeared they are fresh green. What do you think are the chances? Will it grow and should i remove the plastic and plant it in a pot now or should i wait longer? Will it give flower? Give it a little more time, remove the cover and pull on the cutting lightly. If you feel resistance it is rooted or rooting, leave the cover off. Transplant it in the late fall. Hello! I’m new to this, but I was wondering if this would work with my Winter Roses. Their stems are pretty soft and im wondering if this technique would work or if I should dig out the whole plant. I saved a rose from my Mother’s funeral last week and placed it in a vase of water. It is now sprouting, I guess from the previous thorn or leaves sites? What can I do to attempt to grow a plant from this? I live in southeast Texas, so we are currently having 40/70 degree temperature in January.Thank you for any assistance. Just follow the instructions on this page for softwood cuttings and give that a try. I’d keep the cuttings inside in a window for now, covered as in the photos. You can probably get more than one cutting from the stem that you have. Can any type of rose be rooted? I have a bush that’s about 6 years old. It’s starting to look sick. A beautiful rose that changes color about three times. I don’t know what kind it is, but it’s pretty. I tried rooting it a couple of times with no luck. My neighbor tried too, no success..
it sounds like the fbi agents are shadowing the streets looking for people who are growing patented plants that were grown illegally, we are all sick from garden and plant disease ,I even speed sometimes,only done 140 so far in a vehicle, jets are even faster. grow on! Just want to say I enjoy your tips and remarks about gardening and reproduction of flowers. You have been so helpful in the teaching process that even with my hard head it is finally soaking in, Case in point , a friend wanted her rose bush trimmed up and I took the cuttings and and cut me about 20 sticks 6 inches long dip them in harmone powder set them out in a gallon pot watered them and low and behold after several weeks I have a pot full of sprigs with leaves sprouting. Keep up the good work and you have inspired me to continue propagating every bush I get my hand on. Thanks a Million. That’s awesome! You are now addicted, this is a very addicting hobby! Mike when using liquid root hormone after you insert the stick or what ever you are using into the solution do you let it dry on the stick or just put it in the sand wet?? I don’t let them dry for long and usually by the time I stick them it’s not dry. It is my understanding that the rooting compound does what it needs to do during that 5 or 6 second dip. I do usually set them aside for a few minutes while I make more cuttings. But the last handful pretty much gets stuck right away. I just wanted to tell you how much I enjoy reading your newsletter. You are so positive and encouraging to your readers. I’m sure it also makes you feel good that you are doing so much for so many people. I absolutely love my gardens, and even enjoy weeding. Thanks again for all you do…I will be rooting some of the Roses I have. Thank you Judy. You’re right, I do enjoy helping people around the world become better gardeners. That is correct. If there is no sign of the original, really pretty rose, left, then all you can take cuttings from are the root stock and you will get an exact clone of the root stock. Unfortunately, the plant you loved so much is gone. Hi Mike, I have discovered the joys of propagating roses within the past few years and am quite successful. One of the roses is a smallish bush with lots of small pink flowers. Last December (early summer here in Australia) I took cuttings which I planted out about six weeks ago. The young roses are thriving and have started to flower now. I have noticed that one young rose has one branch with the pink roses of the parent plant, but another branch with peach coloured roses – both coming from the same main stem. It is my understanding that a plant grown from a cutting – eg a clone of the original plant, will always be true to the parent plant. So I am puzzled why this little guy appears to suffer from a split personality. Has this ever happened to you? Let me haste to say that I don’t mind having peach coloured roses, as soon as it has finished blooming, I will be taking cuttings from it and hope to get many more peach coloured little guys. For the most part it’s true that cuttings will produce a true clone, in most cases. In some cases there might be a sport, one branch that acts a little differently. When growers are interested in introducing new plants to the market, one thing that has to be done is that the plant must be propagated over a number of years and studied to make sure the new introduction is stable and does not revert back to what the original plant looked like. A friend of mine discovered a Red Twig Dogwood from a cutting that was very different from the parent plant. But after a number of years it was determined to be “unstable” because they unique qualities would not always be there and it could never be treated as a new introduction. Thank you very much for your response, Mike. living in Washington state, i have my own very small growing operation…..usually 4 plants under 2 HPS 125 w lamps until they bloom…My .clones , i put them under 2 fluorescent grow lamps ( 24″ long ) until they have rooted for about 10 to 14 days then i move them to the HPS lights. You have to sign up for the newsletter here, or on http://freeplants.com. I cannot add you to the list, you have to do that yourself. I’ve just read your article on rose propagation. I notice in your photos you have leaves on the cuttings. In your article you don’t say anything on this. How many do you decide how many to leave on? What happens if no leaves are left on? Will they still take? Second, how long do you leave the jar or bottle on? I have been trying to root cuttings for years now with no success using plastic bags & no leads left on the cuttings using hard cuttings. Eager to try your method this Spring. Typically when making cuttings during the growing season you should remove the leaves from the bottom two thirds of the cuttings and leave the leaves on the top one third of the cutting. Cuttings are usually 5″ long. Leave the jar on for several weeks. You can remove the jar and gently tug on the cutting. If it easily slips out it’s not rooted yet, if you feel resistance the cutting is rooted or starting to root. Once rooted the jar comes off. I have done rose rootings about 8 years ago and was successful. I want to start again and I saw in your article that you planted 4 or 5 cuttings in one pot. I did mine, one each in a much smaller pot and covered them with plastic.. Is it too late to do the rootings now? I live in Dublin, California, part of the San Francisco Bay Area and it just started raining about a month ago, after a long drought. Do I still cover them with plastic if you think I can still do it? I live in N. Brentwood & have just rooted mine in a large pot w/ 6 cuttings. They do fine each year & I plant them separate in the garden in the spring after rooted. One large pot is easier to keep moist.& I do not cover them with anything & they are stronger than if I baby them. Covering them sometimes causes too much moisture & can rot them. Just keep them in a somewhat protected area – but where you can remember to check moisture level. Thanks for the information, clearly more than one way to go about rooting roses from cuttings. I have a good smelling Rose I would like to try Propagation on. I bought the brochure but still don’t know what to do after my cuttings take root. Do I plant them in pots? How large a pot? What medium? Winter the pots outdoors? Mulched? Keep them indoors? Indoors growing in the light? Or let them go dormant in the dark and cool of the basement? Can they be planted outdoors directly after taking root? Wait to transplant from intermediary pots the following summer? Once your cuttings are rooted you can plant them right in your garden or into pots. The size of the pot should be about twice the width of the root system, then as the plant grows you can increase the plant size. Plants do better in pots that are the right size. Too large a pot does more harm than good. Freshly potted rooted cuttings would appreciate some shade at least for two weeks or so until they start to get settled in. Come winter the plants should be outside. All of my little tiny rooted cuttings stay out in the colder and trust me, here in northern Ohio it is plenty cold. -21 just a few days ago! Hey Mike, I tried your method of rooting in sand, and it was a success. The cuttings did take root after a few weeks and I transferred them out of the sand and into 4in pots with plenty of drainage holes. I used Fafard Professional Potting Mix as the medium and didn’t amend the soil at all since I didn’t want to damage the roots while they were establishing. They they lasted for months, even through a couple of snows. But in the last week or so, they started turning black and died. I checked the soil and it was very moist but not soggy, which is how I understand it should be. I don’t really know what happened. I’m in zone 7 (NC) and we’ve had an unusual winter in that we had a very warm February. I kept them both in semi sunny spots, so they didn’t get an extreme amount of anything other than cold. This happened with a couple of other cuttings I took last year too, they rooted just fine, but when I put them in pots, they died. I’m not sure what I’m doing wrong here. Any suggestions? Should I maybe keep them in the sand when I put them in pots? Or mix sand in with the potting soil? I was just wondering if you can root roses that you’re in a bouquet? Are they too old and not fresh enough? I noticed that in a bouquet I got for Mother’s Day, that some of the roses were growing new leaves, and thought maybe I could grow roots, is that possible? I don’t think I’d try because you don’t know the variety and don’t know that they are hardy in your zone. But if you want, just take 5″ cuttings, stick them in a shady spot in your garden, wet the soil and place a mason jar over the cuttings. Dipping in rooting compound before you stick them helps as well. Hello Mike, I put a bunch of rose cuttings in wet paper and wrapped them with plastic bags and over wintered them in my cold room downstairs , I just looked at them and their are shoots on the sides ,but not on the bottom where I thought they would be. Now what should I do with them ? Its March 14,2014 Thank you so much ,you are an inspiration to everyone!! Sincerely ,Diana Mach!! I know its a little late, but you could have just put them in a pot with soil. As long as they have roots, their ok to put in the dirt. Morning Mike. Great article on rose propagation. My problem is this; I live in Florida in the winter till april and and I wonder if timing is as important. as it possibly in the northern climates. I need to get them established as soon as possible so that they could be well on their way by the time I have to return to Canada. Thanks for any info you can give me. This might be difficult, winter propagation is slower than summer propagation and newly rooted cuttings need to be cared for. Especially in the Florida summer heat. It’s been years but I used to grow miniature roses and got chills each time I got my cuttings to root. I live in Southern California so went to Visalia to visit Ralph Moore and see how he propagated all his wonderful creations. Visalia is in the San Juaquin Valley where the temperatures get unbelievably hot. He had uncountable young plants that were right there in the scorching heat. He had a misting system on timers that went off often and I guess he must have had a well draining mix. I don’t know if his Sequoia Nursery is still in operation since he passed away a few years back. Is there any problem with selling patented roses or patented plants of any kind? I never sold any of mine and most of them were the older varieties. Thanks for all your great information and helping out people during these tough times. With patented plants it’s important to make the distinction between growing a patented plant and selling a patented plant. As a nursery owner you can buy all of the patented plants that you want and resell them. That’s what the patent holders hope you will do. When you buy a patented plant from one of the growers that is licensed to propagate that patented plant you pay a royalty on each plant that you buy. Some royalties are less than 50 cents, some are around a dollar per plant. I don’t know that I’ve seen a royalty higher than one dollar and that’s usually on an ornamental tree that you would typically buy fewer of, thus the higher royalty. You pay the royalty when you buy the plant. The plant is yours and you are free to grow it to a larger size and sell it any price you want, but you have to sell it with the proper tagging indicating that the plant is patented. Usually you have to buy tags and sometimes they even make you buy their branded pots if you intend to grow and sell patented plants. Under no conditions can you propagate a plant that is still under patent protection, unless you have purchased a license to grow that particular plant. Licenses are often around $1,000 per plant, then you are obligated to open your books to the patent holder and you have to collect patents and remit them to the patent holder. Only really big growers get into that game. Many expect you to grow at least ten thousand of each plant in order to get a license. Mike, I have a question. I am thinking of hooking a soaker hose to the outlet from my A/C unit to be a source of “free” water for my plants. Will this AC water harm them? That’s a good question, but it’s really just condensation that is pulled from the air. Other than minerals collected from around the air conditioning condenser I would think it would be fine. And even then, since it’s been condensating for years, the water probably gathers very little from the outside of the coil. Hi Mike, after the cutting have grown and been put in $4.97 pots how do I keep them over the winter? Do I cover them with plastic or leaves, or cover them with dirt? Thank you for your time. If you cover them, cover with white plastic, not clear or black. You can just heel them in with leaves or soil and they should be fine. Thanks for the rose cutting info. I have marked my calendar for the second week of June next year so I can make sure I don’t forget to cut them. I love your newsletters and website. I have used a lot of your advice and landscaping tips and techniques. You are a wealth of knowledge. Thanks for the lesson. I never had much luck with rose bushes, I live in SD and every one I ever bought even from the big nursery ended up dying. I heard knockout roses were maybe a little easier to grow and care for and I have had better luck, except for the fact my landlord ran the over two winters in a row with the snow removal equipment, killed three the first year and two the next so I haven’t since replaced them because of the cost. I was just wondering if the rules above apply to all types of roses, which I’m assuming that they do. I think one of the gals in my court grows plants to sell and maybe got started through your business, don’t know for sure. I live in Rapid City SD on Cherry Avenue. Thanks again, been getting and reading your tips, trick and newsletter now for years. Great information, Mike!! I cannot make a hydrangea live in GA! I buy them & I have been given them for gifts, what am I doing wrong??? Do you sell Japanese maple tree seeds & how can I purchase some from you? I have one tiny 3 ft tree that is about 3 yrs old. I have successfully rooted some confederate roses from listening to your post. Thanks so much for your help. I live on 36 acres, just retired so I am interested in making MY own lawn beautiful. Keep in mind I live in the hardest GA red clay there is on the plant! There’s no reason why you shouldn’t be able to grow hydrangea in Georgia. Partial shade would be perfect. I am not shipping any Japanese maples at this time, but there are a lot of growers in Georgia that have them. We have a few in our group. Any advice on blueberry cuttings? Soft wood, hard wood? You can try them as hardwood cuttings, but I know they root easily as softwood cuttings. And in all honesty, you’ll have rooted cuttings almost as quickly if you wait and do them next June. But it can’t hurt to try some now. Connie, I live in GA and have hydrangeas. The key is keeping them watered at least once per week and keeping them in a lot of afternoon shade. Otherwise, they die. I also love in Ga, near Ft Gordon. I have a hydrangea that I planted near my water spicket and just ignore. It get afternoon sun, morning shade. Plenty of run off from my hose. Grows like crazy. Sand is a great idea , and I will try it ! I am an artist on the north coast of California, in the redwoods. I want to supplement income for Orick Arts, a local art organization. I have some lovely roses, escalonia, hebe, and other. I want to take cuttings, and sell the plants to fund needed repairs to building, like roof. My question is can you use beach sand? We are 1 mile from the ocean, over a hill and as the crow flies. You have influenced how we have charted the course of Orick Arts Garden. Thank you. Beach sand from the ocean will have a high salt content, I wouldn’t use it. Just use a potting mix that is heavy in Perlite so it drains well. I moved into house that has lots of different kinds of plants. One of which is a rose that blooms most of the summer. How do I find out what type of rose it is and whether it or any of the other plants (like the Nandinas, hollies… ) are patented? I am wanting to get some cuttings off of my plants to get started. What is your suggestion? You cannot find out what kind of rose or any other kind of plant that you have. I have a complete rant about that. But in all honesty, no matter who you ask, you cannot trust that they really know. Since you don’t know they can tell you anything and it could be right, wrong, or completely misleading. Any expert that tells you he can identify any plant by just looking at it, or looking at photos online, is flat out not being honest. There are so many plants that look almost identical to one another, you really have to start with properly labeled plants. There’s an app LIKE THAT GARDEN, you take a picture of your plant and it identjfies it and tells you everything you need to know to grow it. It’s great, I use it all the time. But, those plant identification apps are not very accurate and do not have the ability to separate many plant varieties. They are great to use around home, but for the purpose of growing and selling plants you’d not want to use an app to identify what you are growing and selling. It could get you into trouble with mis-named plants. I love your site and I have a quick question. I am trying to root blueberries and I followed your rooting video (the one where you put the box into a white garbage bag) to a T. We did this back in July and I’ve kept them watered and the leaves that we left on the plants are still green. However, they haven’t rooted yet? I dug a couple up the other day because I was going to transplant all of them into pots for the winter but none of them had rooted? Should I leave them in the box and keep them watered over winter or do you think it’s a lost cause? I really want this to work because the cuttings came from my deceased Grandfather’s bushes and they would mean a lot to me to have these in my yard to remind me of him. What should I do? Some things take longer to root than others, some things are much more difficult to root than others. As long as the cuttings still look viable, just leave them outside for the winter and you can probably get them out of the bag for the winter. Often times they’ll root over the winter, or root in the spring just as they break dormancy. I probably have at least 5,000 cuttings right now that are not rooted. Chances are they’ll be rooted by spring. Mike – good reminder about disconnecting hoses from the bibs for the winter. I missed one last fall, and when I started using the hose this past Spring, the water flow seemed a bit weak. Then a little feller in my head said you’d better check the basement. Yep, it was flooding. A freeze-proof hose bib with anti-siphon will still freeze and crack if the hose is left connected. The plumber replaced the bib and also installed shutoff valve on the inside wall of basement as further protection and if repair ever needs to be done again. I would leave them outside in a protected area and insulate them with leaves. IMO, the garage is only for plants that are questionable as far as hardiness goes – like any plants that I had that were only hardy to zone 7 – those would go into my garage for the winter. Back to the hydrangea, another thing you can do is dig out a trench, several more inches deep than the depth of your pots – and then snug those pots down into the soil for the winter. The only thing you really have to be careful of, is if it’s a wet, mild winter. Snugging into the ground will retain moisture, and many plants don’t like excessive moisture. That’s why you want to dig a trench several inches deeper than your pot – so there is loose soil under your pots to help with drainage. The other thing I do that helps is double the pots – put the one with a plant in it into an empty pot of the same size. That little extra space really helps with drainage, and also keeps the pot your plant is in nice and clean, not covered with dirt. Many years ago my Dad would take cuttings of roses, wrap the bottom end in wet newspaper, put the cutting in the ground and cover it with a quart canning jar to make a little greenhouse, and voila’ he would get a young rose start in a short time. He could graft trees, and do so much with plants. Mike, a year or two ago you told us about propagating roses by taking cuttings in the late winter (I think), and then wrapping them in a couple of layers of wet newspaper and then some plastic bags. Do you no longer advise using that method? Because I tried it when you wrote about doing it that way and they grew roots easily. Of course I then proceeded to neglect them, and they died, but had I been paying attention, I believe just about all of those cuttings would be rose plants right now. Which brings me to my second question: since it is illegal to propagate patented roses by cuttings, do you know if there is a way to tell if a rose bush you’ve had in your yard for several years has a patent or not? Am I correct in thinking that it’s illegal to root cuttings from patented plants, even if they are only intended for just that one individual’s own use? Or is it only illegal if the intent is to sell them?? Good questions. The method that you mention is here, https://mikesbackyardnursery.com/2012/02/how-to-grow-roses-from-cuttings/. If it works for you then by all means do it that way. That method is primarily a winter technique, where as what I discuss in this article is more of a summer technique. I’m glad you had good rooting success using that method. Some people said it did not work for them but all situations are different. If a plant is patented that means that nobody can propagate it at all except those who are licensed to do so and obtaining a license is expensive and really only for really big growers because they have to report on what they grow, pay royalties on what they grow, and in many cases meet minimum growing numbers per year which can be as high as 10,000 plants per year. You and I can buy small patented plants and grow them on and sell them at a profit because when we buy the rooted cutting or liner we pay the royalty at that time. In order to know for sure whether or not something is patented you have to have the original plant tag so you know the exact variety of the plant you have. Patent information is supposed to be prominently displayed on the plant tag. A few Japanese maples can be grown from cuttings so I won’t say it’s impossible, but it’s not easy, I don’t even try, and especially this time of the year. We grow some from seed, but most I just buy small plants and grow them on. We just shot a video about Japanese maples, that should be posted in just a few days. Love your site. I always learn something. I’ve been rooting by putting cuttings in wet sand in old refrigerator vegetable drawers. After I put in my cuttings I put it in a plastic bag that a set of sheets came in. Since it has a zipperer it’s like a little green house. Since I have abig yard I enjoy adding more plants to it or I give them away. Interesting, thank you for sharing what you do. Great, great article! I learned alot but will have to wait til next year to do the soft cuttings. I have one question. I have hybrid tea roses. They are Jackson Perkins Roses “Love and Peace” if that makes a difference. I tried planting some root pieces that I discovered growing in the fall after we transplanted the roses in the spring a few years ago. The bush didn’t turn out anything like the parent plant. If I do the cutting method you discribed, will the resulting plants have the same color roses as the parent plant? I have since learned that when planting the roots there is no guarantee what rose you will get. Just wondering if that is the same for the cuttings. Thanks Mike for all the great info. Many roses are grafted which means the root stock is different than the plant itself. Cutting or root pieces from the root stock will be identical to the root stock. Cuttings from the top of the plant will be identical to the top of the plant if you get them to root. Some roses are patented and propagation is forbidden, you have to check the plant tag to know for sure. Patented plants should be marked as such. Thanks for the how to on roses. I have several Knockout roses and I have been wanting to take cuttings for rooting. This article from you makes things pretty clear. Iwill try to get them done within the next 3-4 days. Thanks again. Also I love reading your letters. You make things simple enough I can understand whatever you are writing about. Knockout roses are patented and it’s against the law to propagate them. You always have to check the plant tags to make sure before you propagate. To the best of my knowledge plant patents last for 20 years, but don’t you’d really have to look into that yourself. Everything that I propagate is in the public domain and we are free to propagate them at will. Hello: This comes just at the right time. I have a rose which has suffered all summer. It’s the last one from my mother-in-law’s garden and was from her sister’s roses. It’s lost all leaves, is just twigs and they aren’t looking that well. So, I’m hoping there’s hope for a cutting to revitalize the lineage, but at the same time I hate to cut some off and stress it further only to not succeed with the cutting. I’d wait until June. If it’s fairly healthy in June take some cuttings. How long does it take to root a plant to the point it is ready to be repotted and ready for its next step? Most cuttings root in six to eight weeks, after that they can be potted. Since summer is a difficult time to pot up tiny cuttings I often wait until fall or even the following spring. I live in Ohio too, and in the fall when it cools down my roses tend to put on another flush of new growth. I wonder if I can treat this as a softwood cutting and root it indoors someplace. Any recent flush of new growth can be considered softwood. You probably can root it indoors, but then getting it acclimated to the cold weather is tricky, probably have to keep it inside until mid to late spring. Mike, I’m in Ohio too. What should I do with cuttings over the winter to keep them happy and alive? Do they stay outside under the mason jar, or do they need to come inside? All of my cuttings, both ones that have rooted, and the ones that are still trying to root, will spend the winter outside, no matter how cold it gets. They are amazingly tough. I am from the UK and came across your wisdom by accident on You Tube. I was originally looking at info about chillies. I tried your propagation of cuttings in sand! This was at the beginning of August. I knew I was late but thought I would try anyway. They were beauties! I potted on last week as the root systems were going for it! Thank you so much just love the simplicity of it. What I like most of all though is your no nonsense simple style, telling it like it is, no jargon. Thank you Shaheen and congratulations on the rooting success. That excites me as much as it does you. Knockout roses are patented, more about that in another comment below. Thanks a bundle. Have been wondering about propagating roses, and will do that this year. Thanks again. Great post. Thanks for all your great and helpful posts.! If you can answer a question I live in Ohio too zone 6a and was wondering if it is too late to plant my potted blueberry bushes and apple and peach trees. And if it is, what should I do to keep them healthy this winter to be planted in the spring. Thanks so much! The best thing you can do for those potted plants is to get them planted. You don’t have to do anything special, just plant them, not too deep, and keep them watered as needed. Being in the ground is where they are the happiest. We plant right up until the ground freezes. I have clicked on your suggested site and I received Nothing. How can I get this information? I HAVE A JAPANESE MAPLE TREE. I PLANTED IT IN THE MIDDLE OF THE GARDEN. WAS THIS WRONG? SHOULD I HAVE PLANTED IT IN THE SHADE? I WOULD LIKE TO DO ROOT CUTTINGS OF THE BOUGAINVILLA, WHEN IS IT A GOOD TIME TO DO THIS? KEEP UP THE GOOD WORK! YOU’RE DOING GREAT! That depends on where you live. Small Japanese maples appreciate some shade in just about any zone. Older trees do fine in full sun, but it’s really hard on really small ones. Thanks very much Mike – great timing for me. Early summer here and really warm so great to try out your advice and try for an increase in my rose garden. Your pix are great, and everything a real inspiration; much appreciated. Thanks for the great info, as usual! I will have to try this in the spring! I tried doing my Snowball bush and a Honeysuckle vine over the summer. My Snowball is a start from my father, who got a start from my grandfather! I was so excited to find out how to propagate this bush for my children! Dad’s memory isn’t what it used to be, and he couldn’t tell me how to do it. Thanks so much! Please e-mail me when the link is up and running. These days we could all use something free!! Thanks for all your info that you share with us all. I’m a newbie and it has done wonders for me already. I would love to get your backyard growing system, but I have a very fixed budget. I have fibromyalgia and I cannot work very much, in turn for some reason it effects my bottom-line. rock and a hard place, in Canada it is not recognized as a disability so I cannot get any help so when I have good days I do work and when I have bad days I do my best to stay active at home. Somedays just walking from the bedroom to the bathroom is all I can handle for the pain gets unbearable. But I have noticed that gardening really gets my mind off of the pain and brings me a little relief. I had no idea what to expect when I was first told to try gardening to help with my symptoms, now every penny I can get has been going into gardening! Almost everything I have has been given to me by some great people in town and I have found a lot for free on a used/recycle website (kijiji). If it was not for this I don’t think I could do as much gardening as I have been doing. It’s been pretty difficult for me to get down on the ground and weed but hard (and painful) work is worth it in the end. anyway thats my rant for the day! Gardening is very therapeutic you just have to do as much as you can do and find ways to do it that suites your abilities. You are not alone, I hear from a lot of people that have difficulties and they still manage to at least get out and do what they can. You’d be amazed at how many members we have that are in the seventies or even eighties and still do really well at this. Can one root rose cuttings under a misting system, or is it best to use a plastic bottle or garbage bag? Mist should work just fine. What is your opinion on using willow bark as a rooting medium? I found a willow tree at my daughter’s house and stripped off several of the long stringy branches and boiled them. I used the water (tea) from them and took several cuttings off of several different plants from around the house and now I am waiting to see what happens. I was reading somewhere that a few drops of hydrogen peroxide can be used in the water to prevent disease. Is that a good idea or would it hurt the rooting process? What I teach is what professional growers do. There are all kinds of other concoctions on the web. Do they work? I have no idea, I just stick to what I know works. Thanks Mike for sharing this info with us. Now to give it a try! Glad to hear it Dan, good to have you aboard. I clicked & didn’t see anything pertaining to 7 free gardening gift’s.Why is that? What were/are they? Tried the link above for this…”Click Here to Get 7 FREE Gardening Gifts! You’ll Love ‘em, I Promise!” “https://mikesbackyardnursery.com/free?utm_source=blog&utm_medium=ad&utm_campaign=nwsltr&utm_content=3 ” It went nowhere? Just wanted to let u know. Thanks for all you do Mike! I let Duston know and he fixed those links. Techie stuff, that’s what he does. I do the basics. Writing and posting. I joined your membership back in May or June. I am not writing for the free gifts offered, but to thank you for the courage you gave me through your teachings of gardening. I made the commitment to take your knowledge and use it for my own purposes. I had cancer and won that battle but was afraid to attempt any new ventures for fear the cancer came back. Well with your membership and your teachings I have learned a whole new way of trying something new, and it doesn’t cost me a farm in England to do. As I said I started this in May or June and I didn’t have a lot of money to invest but I did have a new dream. I started thinking of ways I could do this. Since then I have built two 12′ X 14′ houses out of PVC pipe and reinforced white plastic. I have also built a 14′ X 16′ starting bed, that will be under the white plastic also. All three of these get their off of the one system I made following your advice. I live in PA and we get some whopper of storms here, so we had to build these to withstand our harsh conditions. I ran my water lines under ground about three inches deep so no one trips or the mower catches it. I will drain all of them when it gets colder. I even set it up that I can blow them out with an air compressor. We have one and a half acres of land and needed to spread all of these in different directions. I came up with the ideas listening to you and my husband did most of the work. So I must say the three of us work really well together. I have all of the beds full. I hope to start selling in the spring. So I want to wish all that try this or wish they can try this all the best. You can do it just make the commitment the rest will follow. Congratulations on your battle with cancer, Pam is also a cancer survivor. And congratulation for getting back to the business of living and growing plants. You have done a great job and you and your husband have been a joy to work with since you say the “three of us” made this work! Nice job, I wish you the absolutely best of health and success! Good for you! Keep on gardening. If you do garden correctly it is not near as hard on a person’s back as most think. You just have to learn to work smarter not harder. On your green houses that you built. Did you put them in direct sunlight or are they in the woods some where? When you do your cuttings are they in the green house and is it out of direct sunlight? Today most greenhouses are covered with plastic and need to be out in the open so falling branches don’t tear the plastic. Me? No greenhouses. I do everything outside in the elements without a greenhouse. 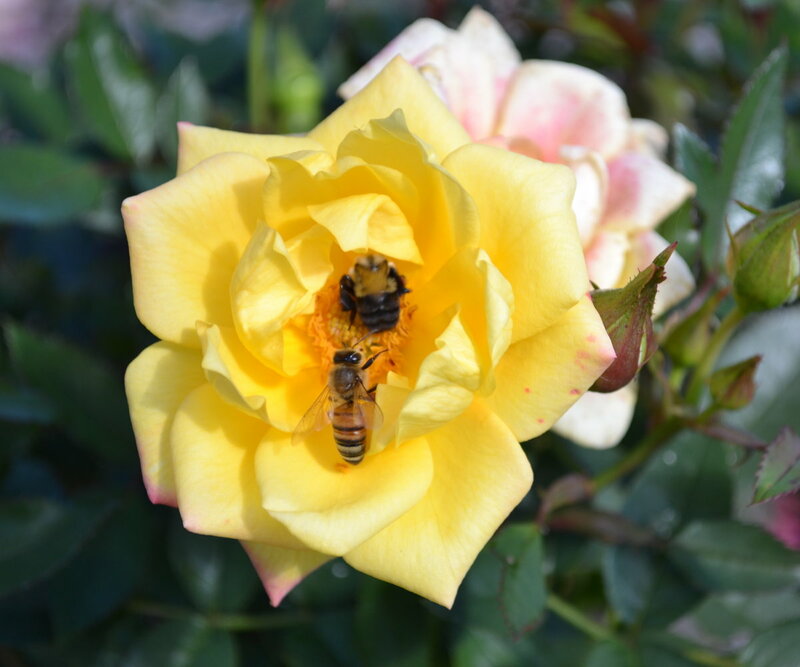 Thanks for the article on propagating roses. I have been thinking about trying them and now I will next year. I was wondering about doing Purple Sandcherry and China Rose tree. Is China Rose Tree also known as Pink Flowering Almond? I thought I read that somewhere. Anyway, is now a good time to stick them and leave them over the winter? I don’t need the bottom heat for them, correct? Thanks again and enjoy what we have left of the fall here in the north. Wait for the Purple Sandcherry and Pink Flowering Almond to go completely dormant before you do them. I’m not sure when I’m going to do mine, maybe December or January. When we do, we will document the process. I did a bunch of them last winter and they did really well, so I will be doing a lot more this winter. Those are two plants that work better as hardwood cuttings than they do softwood cuttings. This was fun and interesting and I can’t wait to root some cuttings of my Don Juan climbing rose. I can cover the other railing on my terrace and give some as gifts. It’s surprising howany of my olants including herbs I’ve propogatwd from rooting in water . Even my impatience and a cabbage plant on a long stem which was part of a bouquet! Now it’s branching out and very attractive. I have great SE exposure and even on a windy terrace on the 18th floor in NYC I have success. Susan, you are welcome and I’m glad you are able to use some of what I teach in the city.